Around 8.p.m on Thursday night, a powerful interplanetary shock wave cracked open the earth's precious magnetic field, leaving the planet open to possible global chaos. 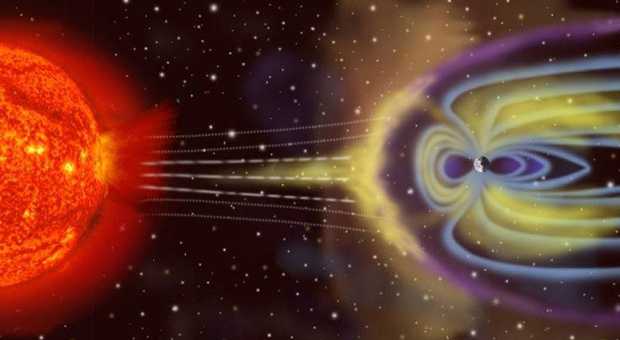 The massive solar wind was so dense that it penetrated the earth's magnetic field, which is responsible for protecting the planet from harmful ultraviolet radiation. As the solar wave it the earth, a bright, colorful aurora lit up the night sky in both hemispheres. 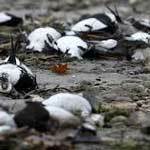 Scientists are worrying that the result of the impact could cause space weather and the disruption of GPS navigation, mobile phone signals, and satellite TV. bright, colorful aurora lit up the night sky in both hemispheres. The Washington Post reports: Earth’s magnetic field protects us from solar wind radiation, but sudden solar events — solar flares, coronal mass ejections and interplanetary shock waves — can strain the magnetic field to the point that it ruptures, allowing some of the energy into our atmosphere. 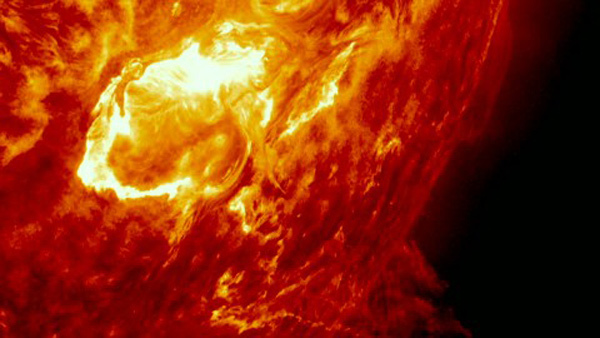 Fortunately, once the stress of the solar event is over, the magnetic field readjusts to its normal, protective state. The interplanetary shock wave arrival could be seen in NOAA’s real-time measurement of the solar wind. The DSCOVR satellite, located between the Earth and the sun, continuously watches changes in the sun’s output. 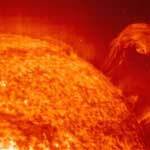 It’s possible Thursday night’s shock wave came from a coronal mass ejection that went undetected by satellites. The space between Earth and our sun is pretty big, and minor events can go undetected. Another explanation may have been that it was just a very sharp transition between slow- and fast-moving solar winds, like turning a hose up from a trickle to a hard spray. 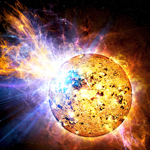 If it happens quickly enough, the change can have the same impact as a coronal mass ejection. Whatever the cause, the result here on Earth was a minor geomagnetic storm — not strong enough to disrupt GPS, communications or satellites in any meaningful way. 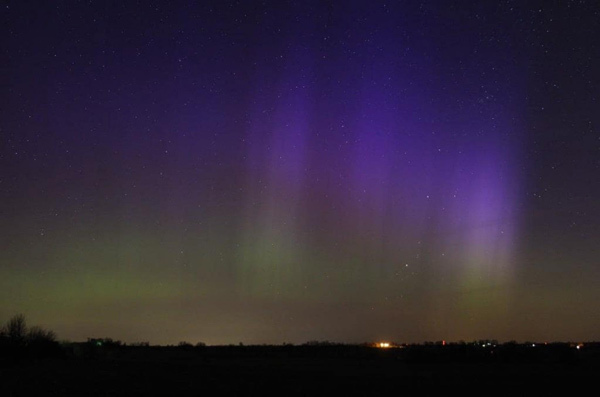 It did, however, create a colorful aurora that was seen as far south as Illinois. At the higher latitudes in Canada and New Zealand, the aurora was visible to the naked eye.